People’s Progressive Party of Malaysia (PPP) should not be just recruiting members for no reasons. They have indeed irked many party leaders in the State BN including the likes of James Masing,Lee Kim Shin, Karim Hamzah,Daud Abdul Rahman and mosts recently SPDP President William Mawan. Meanwhile our sources have mentioned to us that one of PRS parliamentarians in Aaron Ago Dagang might not be nominated again to stand on PRS ticket. His relationship with the PRS President is anything but cordial and they are 1001 reasons PRS might justs drop him in the next GE. 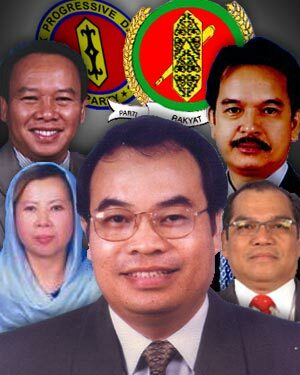 Masing himself in October 8th 2007 has maintained that P210 Kanowit Parliamentary seat belongs to PRS eventhough Aaron than won the seat on the now deregistered( PBDS) ticket. PPP should also capitalise on this shouldn’t they? They will have a ready made MP for now instead of him(aaron) making his way to Parti Cinta Malaysia(PCM) as the Sarawak State Chairman Gabriel Adit is his relative and he is also cousin to Leo Moggie former Minister for Energy, Communications and Multimedia. PPP shouldn’t you look into this too for a new MEMBER.? A chance meeting turned out to be very meaningful with a PKR Sarawak member. The ongoing ‘reengineering,rebranding and rewashing or whatever RE- you can call it is good for the party. It’s not only happening in ,PKR DAP but also in SPDP,PPP and SUPP. It could also happen to any other parties for that matter. He used this simple analogy,”Two friends join a certain political party and fight their way to the top. One person has to be on top while the other has to play second fiddle. Both try to outdo each other and certainly it will be out of control as far as politcal ambition is. Factional politics is common everywhere around the world. However one must note that western politics in so far as USA and UK it is more matured. No need to tell you why do I he said..? So the two friends will very soon not become friends and lead another group to outdo each other. Eventhough they try to compromise but as far as politics goes they both need to be No.1. Those who are not No.1 will aspire to be there soonest as to be No.2 is only to follow through and carry out orders. Taib Mahamud PBB President has seen many challengers to his rule but so far he has managed to use his TREE SHAKING and DIVIDE AND RULE METHOD to his advantage. Many have fallen out of favour or left to dry on their own and he goes on looking for the next person who will be a TEAM MEMBER instead of wanting to be the Captain. Anwar in PKR is trying his bests to develop the concensus or Arthurs round table method but some of his lieutenants within his garrison( ADUNS and MPs ) just failed to be patient enough and are seen to JUMP OVER TO A BIGGER SHIP as the seas get rougher and are too afraid to HOLD ON to the ropes. Instead they use the ropes to springboard themselves out of harms way and lesser dangers. PKR Sarawak needs to be properly controlled or else the ship will hit rocky patches and thus it will also suffer the indignity of losing its new found Fame in Sarawak for the voters to choose an alternate party besides the BN parties. He said PKR will be able to create a ripple here and there but in the rural constituencies BN for now still rules. Imagine Anwar going to Sri Aman for a ceramah. It takes 3 to 4 hours to reach. BN comes along with helicopter. Anwar arrives three hours later BN has already made their kill and you think the rural people will still buy what Anwar has to say. WHO SAYS CERTAIN CONTROL IS NO GOOD…..????? Most politicians when they are under attack they will lose their cool or act irrationally and they will open/dissect themselves up cleanly without the experience surgeons help says an Emeritus Professor to audie61. The undisputed “SUPP and DAP” rivalry is also being felt across the cyber world of the FACEBOOK. 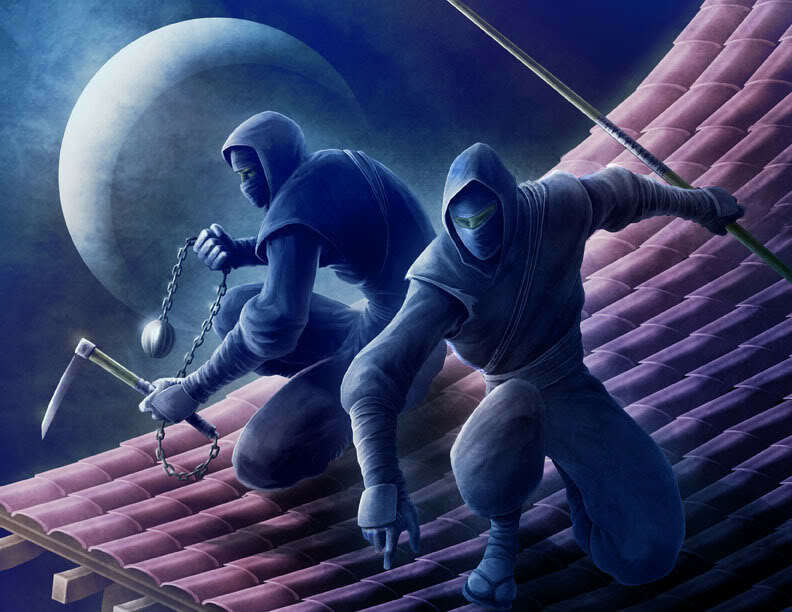 audie61 blogged up the Storm Warriors of DAP and wonder should we should call the SUPP Youth Boys the “New Ninja’s“. There is more to write about them in the coming weeks and we reserve this article to another day. If DAP vs SUPP is between common enemies what would one think if a PPP email is circulated in cyber space. Don’t tell me it just landed on our doorstep..Did it AVATAR into our blog…hmmmm..?? ILLEGAL PPP PRESIDENT WANTS LEGALLY ELECTED PPP WANITA HEAD TO APOLOGISE? I have this to say to YB Dato’ Murugiah, which part of my statement is defamatory YB. The truth hurts, doesn’t it. On the 14th Jan 2010 even the Star has reported exactly the same complaint I made of your January 10th 2010 event at the NUPW Promoting Business Loans etc in an article written by Veera Pandiyan. THIS IS PUBLIC DOMAIN NEWS. Emails I attach from blogs are speaking the same and the unhappiness at being misinformed by its members on its activities. Come to think of it you have been doing that from day one with your illegal PPP EGM in Putrajaya. Is there no truth in all these writings which seem to echo what I stated. Are they all telling lies and only you are telling the truth. There is no doubt you owe the public an apology. Should you want to take legal action for what I have said, my party President and all the lawyers in our Supreme Council have offered to back me up. Do not forget I was legally elected in December 2008, who are you to ask me to apologise to you when you are trying to usurp the Presidents post the illegal way using the Deputy Ministers post as a shield, a post you gained when you were in the PPP. THERE IS NO NEED FOR ME TO APOLOGISE to an illegal self proclaimed president. You have done this before ON 25 January 2002, THE Sun you quit the PPP minutes after being sworn in as Ipoh City Councillor. Only Minutes after, You then proceeded to state you will continue to serve your term as councilor, creating a similar scrambled situation with the BN government then. This is also public domain news. We forgave you and took you back. We cant help making comparisons with your current predicament. You have done the damage to yourself, YB. Your continued feeble attempts to influence public opinion and PPP members is doomed to fail. You might dazzle a few die hard members with your rhetoric and your position as a Deputy Minister with all your allocations and promises but you have undone yourself. We have worked with you and we know better. You have contradicted yourself so many times, it’s a wonder you still remain a Deputy Minister in this current Prime Ministers government. I CHALLENGE YOU. Be brave show your 2100 PPP Branch head attendance list with signatures you alleged attended the January 10th 2010 NUPW function. Don’t just give signatures of public attendees, that might amount to 27 Million, the Malaysian population. We have the records, the media can be invited to observe. If it verifies, I will apologise to you and I will even quit my post if you are proven correct. I call your bluff, a LEGALLY ELECTED WOMAN IN PPP is challenging you, don’t evade, don’t give excuses don’t camouflage. You have always been good with numbers. Don’t hide or come up with some lame and feeble story. I challenge you. The Womens Wing challenges you, prove your statement or quit as a Deputy Minister. You claim the position of PPP President to keep some of our members hanging. On the 10th June 2009 you stated in the Star “ We must respect and give the ROS time to decide” . The ROS has finally issued a letter after its investigations dated 19th January 2010 on your status. You were correctly expelled as per the Constitution and your so called election as PPP President is illegal. You now Respect that proclamation as per your Statement in June 10. You are embarking on an illegal quest from now. Read it and weep. Don’t try to usurp the PPP Presidents post or continue to mislead the public. I have stated earlier it’s not a popularity campaign between you and our legally elected President , Datuk M Kayveas. All legitimate PPP rank and file members will not accept you as President. This has been made known to you before you were even expelled. As a Deputy Minister in the Barisan, obey the law you have sworn to uphold. Don’t make a mockery of the very same BN government you serve. Just look at the tags you printed for your 10th January 2010 NUPW event under the guise of Kelab Penyokong BN. Turn it and you have a different event, convenient MAGIC. You used the very logo you called illegal on the tags . The logo is the same you complained to the ROS to have PPP deregistered. What exemption do you have to use it. Do not misuse your Deputy Ministers post for your own gain. I hope no public funds were used to attract members for your purpose as not too long ago a DPM was charged with corruption for just misusing his influence. I stand by the Statements I made, there must be a body, a Constitutional Committee, to censure Ministers who stray and if there is none, one must be formed. There is no point in lodging a Complaint with the Public Complaints Bureau in this case. Lets talk about your Arbitration attempts. You are teaching everyone from RA’s to any society to convene an arbitration panel if they are unsatisfied with the finality of any ROS decision. There are no provisions in the ROS laws and neither is there any in PPP’s Constitution for Arbitration. I might be a layman but any Arbitration requires all the affected stake holders to be present. It does not work with your whims and fancies and your desperate attempts to cling to power. I don’t intend to indulge in an extended war of words with you. Accept the challenge – LET’S END IT. It seems when BN are really going all out to flush/tree shake those they consider not a “TEAM PLAYER”. Natasha received an sms that PPP.”They are at it again” Stories and details posted soon. On the 24th we covered an article which was “Ministerial Abuse of Power” and now our insiders in PPP are saying that the infighting has not stopped but has deteriorated. Its farcical as far as they are concern and this article will be capitalised by the opposition. 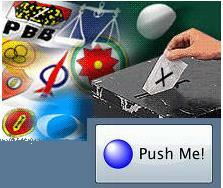 Or has PPP become irrelevant to the Pakatan alliance…?? PPP dreams to once again rise from the ashes however there are obstacles in their way for PPP to be a vital coalition for BN. Its remains a distant dream. The People’s Progressive Party (PPP) deems Deputy Minister in the Prime Minister’s Department Senator T Murugiah to be an “illegal deputy minister” because of his refusal to give up the post although sacked from the PPP in June. PPP president M Kayveas, however, said he was leaving it to Prime Minister Najib Abdul Razak to determine Murugiah’s position as the senator had refused to give up the post voluntarily despite the appointment coming under the PPP’s quota for ministerial posts. Kayveas told this to reporters at the PPP’s Christmas open house held at the Putra World Trade Centre (PWTC) today. He added that Murugiah was an ungrateful person in that he did not champion the PPP’s interests but instead used the opportunity to pursue his own political ambitions to become the president of PPP and in doing so tried to “stir trouble” in the party. Among the VIPs who attended the open house were Umno secretary-general Tengku Adnan Tengku Mansor and Federal Territories and Urban Wellbeing Minister Senator Raja Nong Chik Raja Zainal Abidin.